Facebook Lite on Android devices: Facebook Lite a new version of Facebook built to be of very light weight and still contains all the basic features of the original Facebook app. 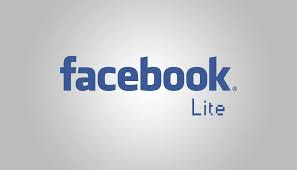 Facebook Lite is designed for low/poor network areas, for increased data conservation and for older phones. Facebook Lite has received some form of wide acceptance. It’s got all Facebook’s highlight features, uses fewer system resources and less data, and works on slower connections. The only downside is that it feels kind of basic. The trimmed down interface, large square buttons, and loading bar (yes, there’s a loading bar) kinda feels like something from the late 2000s. It doesn’t look all that different though. Open the App Store on your device. Tap the Search button at the bottom of the screen. Type in the word ‘Facebook Lite’ – a number of apps will be presented, Tap the 'get button, when you find the app developed by Facebook. Tap ‘install’.Based on your security and privacy configurations, you may be asked to provide your Apple ID before your device lets you download. Once it is downloaded, there should be an ‘Open’ button to tap in the App Store to start Facebook Lite – or you can search and find the Facebook Lite icon in your apps and tap that. Once you have launched the app, you should be prompted to log in. Open the Google Play Store on your device. Type ‘Facebook Lite’ in the search field. A list of apps will appear. Find the app developed by ‘Facebook Inc’ – which should be at or near the top of the list –and tap it. Tap the ‘Install’ button. You may be asked to allow permission for 'Facebook Lite' to access various tools on your device. If you’re ok with these, tap ‘Accept’. Depending on your security and privacy settings, you may be asked to provide your Google account password before your device lets you download the app. You may also need to be connected to a WI-FI network to download. Once it has downloaded, tap the ‘Open’ button on the 'Facebook Lite' Google Store page. You can also find it on your home screen and tap to launch. Login using your Facebook account details. Follow any other on screen instructions to complete the installation process. If you use an older phone or want to save mobile data, there’s no harm in giving it a look. It’s only 2MB, and the worst case scenario is you switch back. It might also be exactly the Facebook app you’ve been looking for.